My piano studio has enormous windows that look out into our bustling little village. As well as giving my studio a bright and cheery feel, they also allow me to be aware that there is a world beyond my four musical walls. But for some students, the windows are just too much. One in particular is a very sweet girl, but she is the definition of “dreamer”. For this girl, my studio windows represent a world of wonders… which is why it is not uncommon to see her play piano pieces as her head slowly turns towards the windows to follow the movements of a another child… or a dog… or a balloon! I definitely get a kick out of her, but let me tell you, she makes me earn my money! 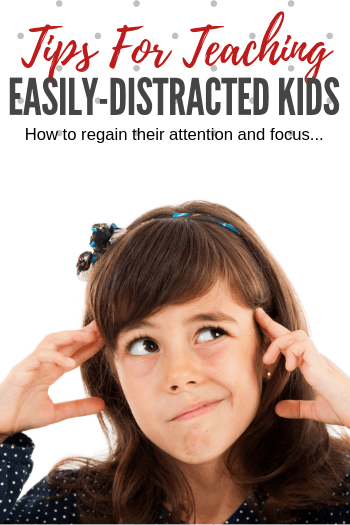 The minds of our “Space Cadets” (I use this term with the kindest of intentions) wander for many reasons, but I thought I’d discuss the four most common types of distracted piano students and how piano teachers can bring them back to the real world just long enough to teach them a thing or two. You are probably familiar with this type of piano student, because they are certainly not uncommon. Fortunately, the Bored Space Cadet is easy to recognize and easy to remedy. Forty or more weeks of “the same old, same old” can send anyone’s mind wandering… let alone young piano students! If you want to keep your bored students engaged, implement a monthly lesson cycle where every week of the month has a special activity. At our studio we have a composing week, music games week, popular music week, and then a “catch-up” week. Kids rarely get bored as every week is always offering a little something different. My heart goes out to these piano students. Whether we see their problems as trivial or not, young kids face a lot of pressure at school and at home. And more often than not, they have a difficult time verbalizing what’s got them down. Helping our emotionally distracted piano students is as simple as having a little chat for the first 2-3 minutes of their lessons. It is amazing how kids will open up when adults take them time to show they care. Read this post for more tips. If you have a piano student whose mind wanders week in and week out, it may be that they are simply overwhelmed but too shy to say anything about it. Kids will often “check out” as a defence mechanism when the going gets tough. Put on your detective hat and do a little digging to discover if your piano student’s pieces are indeed too hard, or they simply aren’t practicing enough at home. Sometimes a piano student is not bored, emotionally distracted, or overwhelmed. Sometimes, they will have a diagnosed (or undiagnosed) learning difference that makes piano lessons challenging. If you were a teacher in a school setting you would have a lot of resources at your disposal, but as a piano teacher you will have to rely on the information provided by parents and your own intuition. Holding entrance interviews can be your best tool to help these students. If you have the opportunity to have a discussion with the parents about their child’s learning differences, difficulties, and challenges, you can tailor your piano lessons accordingly and have a lot of success. This makes life a lot easier than if you find out about a learning difference several months into piano lessons. If you’re finding it difficult to come up with changes of focus in your piano lesson to prevent the minds of your students from wandering, you’ll be delighted to know that our method book series does all of that hard work for you! Each book contains off-bench activities, on-page learning, ear training and even piano games! Find out how WunderKeys can ease your prep and engage your students here.